Custom Aluminum Products is a family owned and operated business that is recognized as a leader in the aluminum extrusion industry. Founded in 1960, the company grew from a small storm door & window manufacturer to our current 800,000 square feet of manufacturing space comprised of facilities in South Elgin and Genoa, IL. We have a commitment to excellence in quality and customer service, strong leadership in education, and a commitment to continuous improvement. 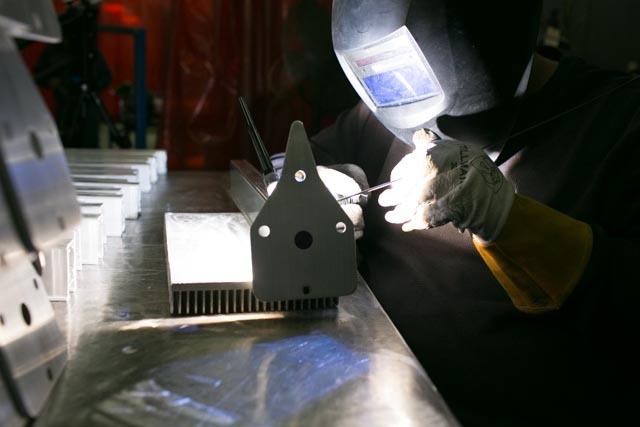 Custom Aluminum Products is a technically advanced aluminum extruder specializing in custom extrusions, fabrication, welding, bending, painting, anodizing, assembly, packing and offering inventory programs. Custom Aluminum believes that investment in our employees is the key to our success. We offer on-site educational classes from entry level to advanced concepts. Our education program includes partnerships with local high schools and colleges. Over the past 50-plus years, Custom Aluminum has provided a workplace in which ideas are welcome and rewarded, innovations encouraged, and hard work recognized. This entrepreneurial spirit flourishes today and is evident among our employees.